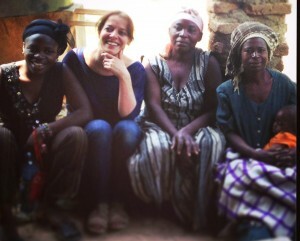 The LYF is now 10 months into our Farmer Radio project in DRC. 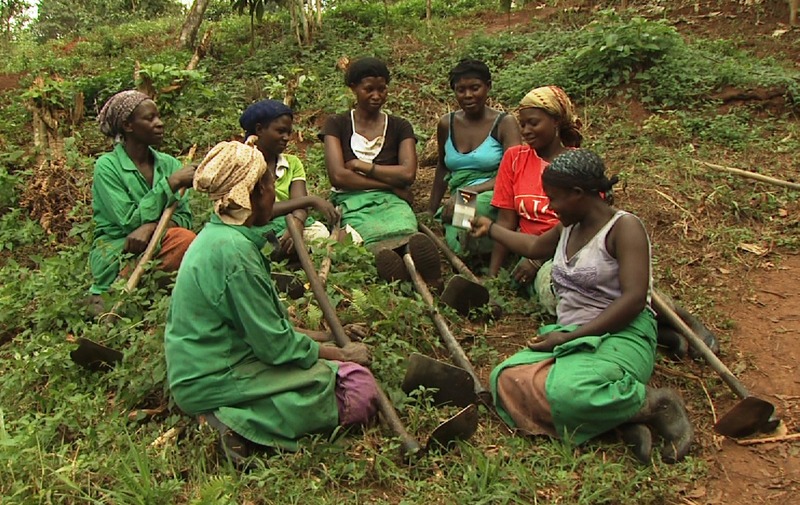 We are working to engage 10,000 women cocoa farmers across the North Kivu area, delivering agricultural extension advice and answering their questions on farming and processing activities related to cocoa production. 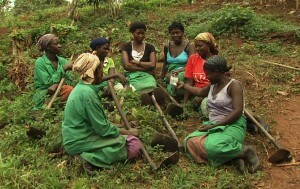 Our local partners IDAD, have established ‘Listening Groups’ at the Union of Progressive Women Farmers (UFAP) and at the organisation Action for Development and Environmental Protection (ADEP) who work to ensure protection of the forest and promote agro-forestry. So far, some 1,500 new cocoa seedlings have been distributed to farmer members across the forest regions of Beni, Kyanzaba, Mutamba. Training has also been delivered by IDAD extension field officers to members from both organisations. ‘Over the air’ the women farmers use radio to encourage others to lift themselves out of poverty and to overcome the challenges they face. Getting their voices heard is a serious issue for these women. Serious – but not easy. For some, just writing a simple text message to the radio station so that they can ask about agricultural issues will involve walking for miles to find a friend or family member who can read and write. “The security in the Kivu area around Beni has deteriorated. In the last week, two people were killed in Kasindi, one taxi driver the day before our arrival and another person two days before that. The maji-maje carried out another attack on the army camp in Beni town where some of their comrades were held. The attack was carried out in broad daylight and shooting went on for almost two hours. Most of the rebels were killed and the people in town were terrified. Abductions of females started a year ago and were first aimed at obtaining ransom. However, the abduction of women and young girls in the area Mavivi-Oicha, Mayimoya and Eringeti started about a month ago. Since then, more than a hundred have been taken away into the bushland. The kidnapping takes place at gunpoint and in broad daylight. One woman who was pleading to be allowed to take her young child with her was shot in the head and her body was dumped on the side of the road. The population protested against this and as a result, the left side of the Beni –Eringeti road was transformed into a military camp.” Regardless of this action, the right side of the road is very much perceived to be ‘zone rouge’. Where anything goes – even murder – when it comes to the casual appropriation of women. “The situation remains volatile in Eastern Congo. An offensive UN brigade was deployed in mid-May, so we have been unable to travel across the border to meet the farmers ourselves. However, we have been able to bring on board a new cocoa trader who is exporting out of Beni and who will be taking part in our multi-stakeholder group to support that will help women cocoa farmers to produce the very best quality crop.It has been heartbreaking to speak with the women here and to listen to what they are saying about their lives under these conditions of conflict. On the 8th March 2013, to mark international women’s day, the women members from UFAP marched to the Ministry of Family and Health to demand that women be protected against the escalating violence and even there, one of their members was beaten during the demonstrations and ended up in hospital. We covered this issue in our radio programme and we sent messages of support to all the women in the region who were suffering violence in their communities. Due to the ongoing situation, the LYF and our local partners needed to adopt an alternative approach to ensure that the women involved in our Farmer Radio DRC pilot could receive training. Instead, we were able to bring a group of women farmers from North Kivu across the border and into Uganda where we worked with IDAD, using the college facilities of URDT. This entry was written by Ian Agnew, posted on 16/08/2013 at 8:28 pm, filed under Farmer Extension Programme, Latest News and tagged Africa, African farmers, agriculture, Chocolate, cocoa, development, DFID, DRC, IDAD, Kivu, livelihoods, Lorna Young Foundation, LYF, Trade not Aid, UFAP, uganda, URDT. Bookmark the permalink. Follow any comments here with the RSS feed for this post. Post a comment or leave a trackback: Trackback URL.